When Connemara R.F.C. was founded in February 1973 it used to play its home games at Woods’ Field in Clifden. In June 1976 the club purchased a playing pitch from the Franciscan Brothers. This was bought on condition that the school could also use the pitch. The field consisted of five acres, two of which were turned into a playing area. The contractor for this was a Mr. O’Grady. A lot of the work on the field was done by the pupils and teachers of the Community School. The first game on the newly developed pitch was played in 1981. 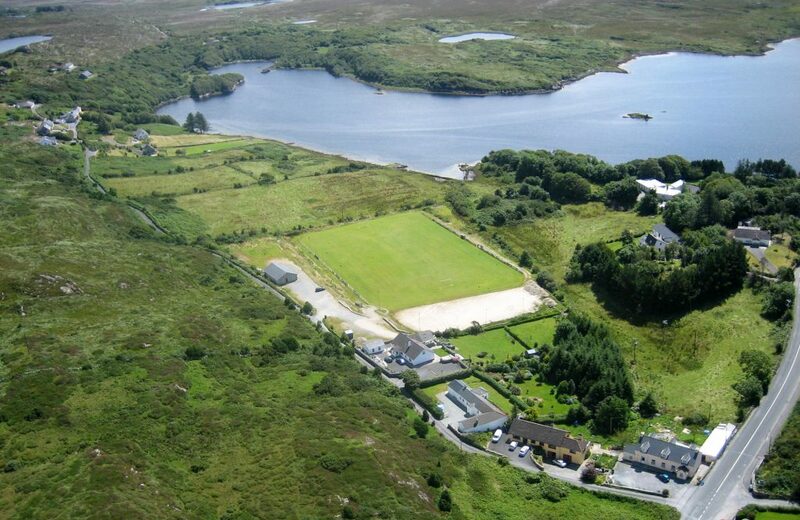 The home grounds of Connemara R.F.C. is The Monastery Field, Clifden. Clifden is approximately a one hour drive, west of Galway City on the N59. The Monastery Field is located on the Ballyconneely Road (R341), approximately 1km from Clifden town.